Deodorant soap that is mild and non-irritating on the skin. Ideal for use in hospitality industry with its fresh and invigorating scent. 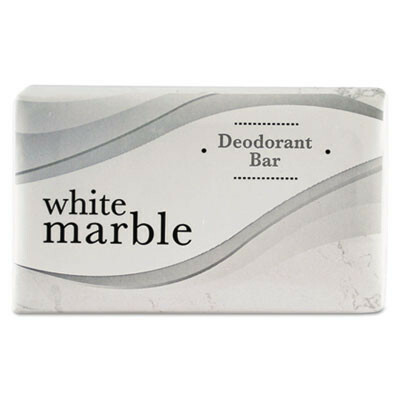 Soap Type: Bar, Travel/Amenity; Application: Body; Hand; Capacity (Weight): 0.75 oz; Scent: Pleasant. 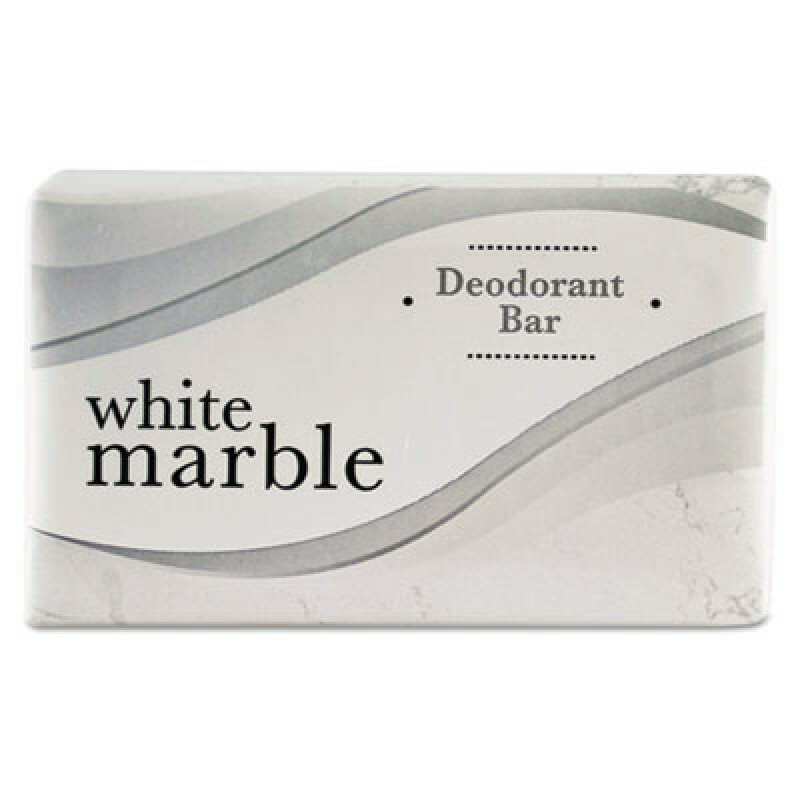 This is a review for the 1000 Count (0.75oz) White Marble Deodorant Bar Soap.